The Los Angeles branch of California State Normal School , 1881. 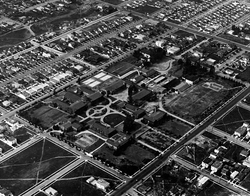 The campus is located in the residential area of Westwood and bordered by Bel-Air to the north, Beverly Hills to the east, and Brentwood to the west. The campus is informally divided into North Campus and South Campus, which are both on the eastern half of the university's land. North Campus is the original campus core; its buildings are more traditional in appearance and clad in imported Italian brick. North Campus is home to the arts, humanities, social sciences, law, and business programs and is centered around ficus and sycamore-lined Dickson Court, also known as the "Sunken Garden". 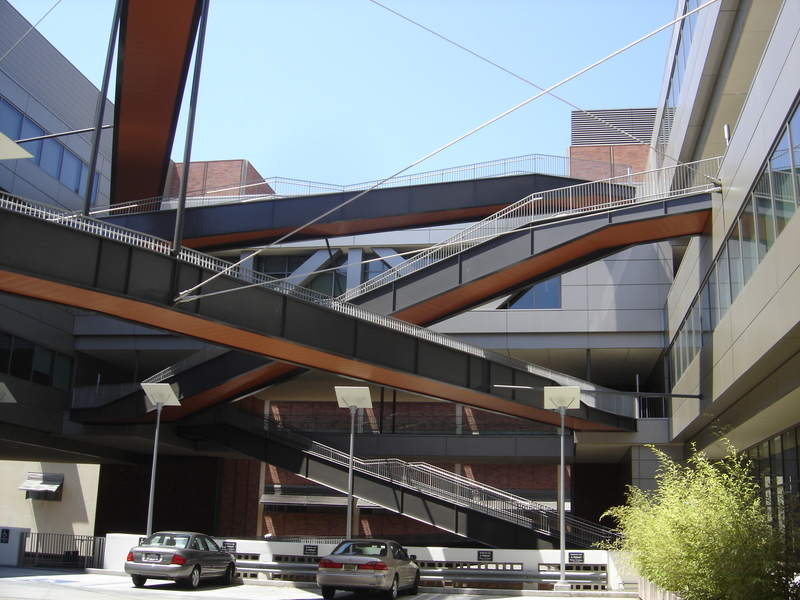 South Campus is home to the physical sciences, life sciences, engineering, mathematical sciences, health-related fields, and the UCLA Medical Center . The campus includes sculpture gardens, fountains, museums, and a mix of architectural styles. One notable building on campus is named after African-American alumnus Ralph Bunche , who received the 1950 Nobel Peace Prize for negotiating an armistice agreement between the Jews and Arabs in Israel. The entrance of Bunche Hall features a bust of him overlooking the Franklin D. Murphy Sculpture Garden. He was the first individual of non-European background and the first UCLA alumnus to be honored with the Prize. The Hannah Carter Japanese Garden is located a mile north of campus, in the community of Bel Air . The garden was designed by landscape architect Nagao Sakurai of Tokyo and garden designer Kazuo Nakamura of Kyoto in 1959. 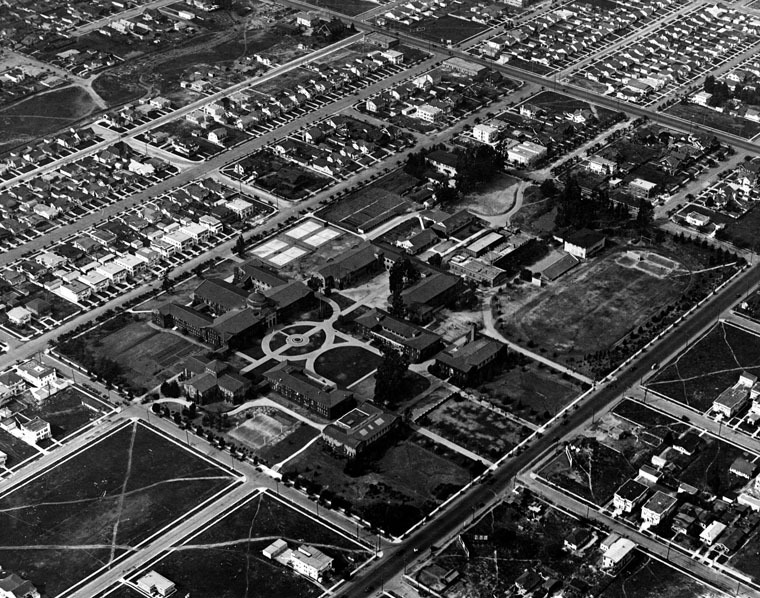 After the garden was damaged by heavy rains in 1969, UCLA Professor of Art and Campus Architect Koichi Kawana took on the task of its reconstruction. UCLA has attracted filming for decades with its proximity to Hollywood . Much of the film Gotcha! (1985) was shot at UCLA, as well as John Singleton 's Higher Learning (1995). Legally Blonde (2001), Old School (2003), The Nutty Professor (1995), Erin Brockovich (2000), How High (2001), National Lampoon's Van Wilder (2002), American Pie 2 (2001), and Bring It On Again (2004) were all mainly shot around campus. In January 2009, the Bollywood movie My Name is Khan (2010) was shot at UCLA. 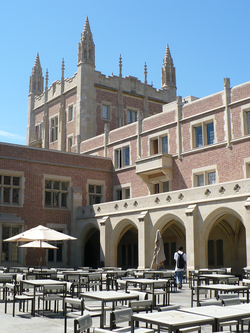 UCLA is also often cast as Stanford in television shows such as The Mindy Project and Chuck . 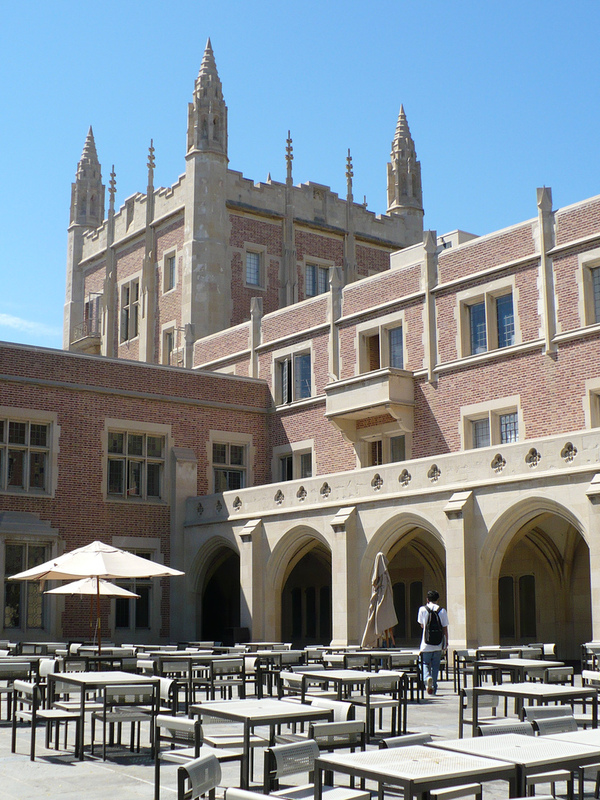 Some of the exterior shots of the fictional UC Sunnydale in Buffy the Vampire Slayer , and ABC Family original series Greek were also filmed at UCLA. In response to the major demand for filming, UCLA has instated a policy to regulate filming and professional photography at the campus. "UCLA is located in Los Angeles, the same place as the American motion picture industry", said UCLA visiting professor of film and television Jonathan Kuntz. "So we're convenient for (almost) all of the movie companies, TV production companies, commercial companies and so on. We're right where the action is." The campus maintains 24,000 parking spaces and operates an award-winning sustainable transportation program. Elements of the sustainable transportation program include vanpools, a campus shuttle system called BruinBus, discounted carpool permits, and subsidized transit passes. One of the pass programs includes BruinGo!,  which allows students and staff members to purchase discounted one-way or quarterly passes to ride Santa Monica's Big Blue Bus and the Culver CityBus . This pass program allows any current student to ride the Big Blue Bus for 50 cents (each way). Additionally, UCLA has a grocery shuttle that transports students between the dorms and Westwood, on weekends in order to facilitate students' shopping needs. 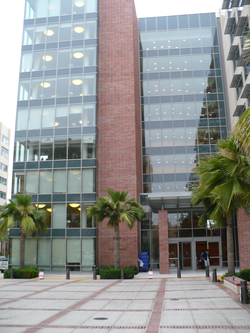 The David Geffen School of Medicine , School of Nursing , School of Dentistry and Fielding School of Public Health constitute the professional schools of health science. The UCLA Health System operates the Ronald Reagan UCLA Medical Center , a hospital in Santa Monica and twelve primary care clinics throughout Los Angeles County . 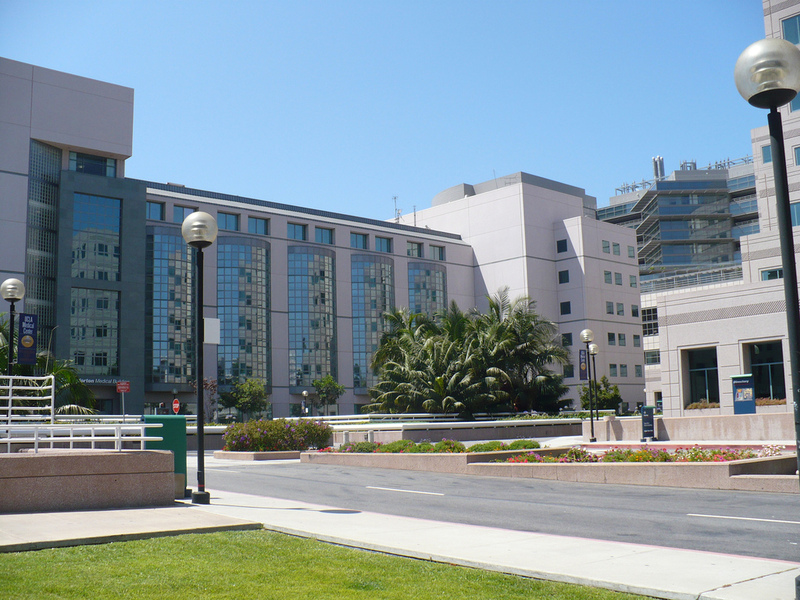 In addition, the UCLA David Geffen School of Medicine uses two Los Angeles County public hospitals as teaching hospitals— Harbor-UCLA Medical Center and Olive View-UCLA Medical Center —as well as the largest private nonprofit hospital on the west coast, Cedars-Sinai Medical Center . The Greater Los Angeles VA Medical Center is also a major teaching and training site for the university. The UCLA Medical Center made history in 1981 when Assistant Professor Michael Gottlieb first diagnosed AIDS . UCLA medical researchers also pioneered the use of positron emission tomography (PET) scanning to study brain function. Professor of Pharmacology Louis Ignarro was one of the recipients of the 1998 Nobel Prize in Physiology or Medicine for discovering the signaling cascade of nitric oxide , one of the most important molecules in cardiopulmonary physiology. The 2016 U.S. News & World Report Best Colleges report ranked UCLA second among public universities. The Washington Monthly ranked UCLA sixth among national universities in 2015, with criteria based on research, community service, and social mobility. The Money Magazine Best Colleges ranking for 2015 ranked UCLA 26th in the United States based on educational quality, affordability and alumni earnings. 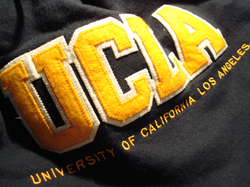 In 2014, The Daily Beast' s Best Colleges report ranked UCLA 10th in the country. The Kiplinger Best College Values report for 2015 ranked UCLA 6th for value among American public universities. The 2013 Top American Research Universities report by the Center for Measuring University Performance ranks UCLA 11th in power, 12th in resources, faculty, and education, 14th in resources and education and 9th in education. 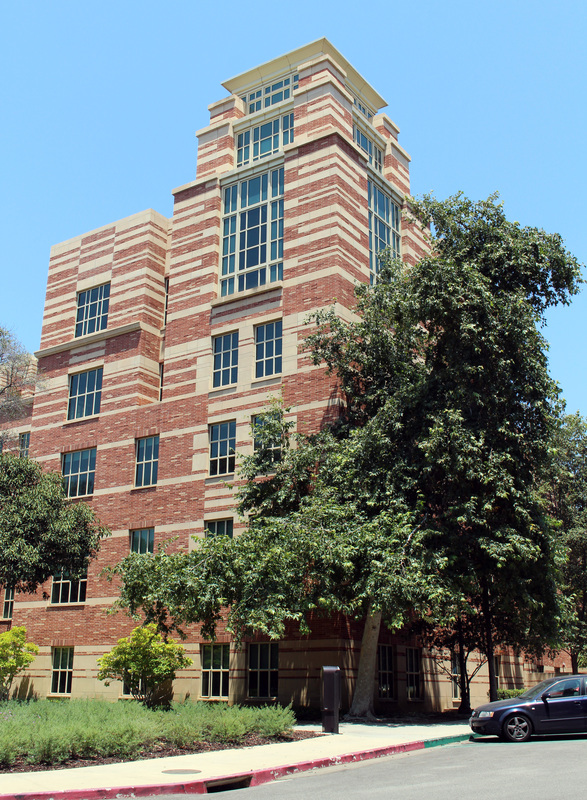 The 2015 Princeton Review College Hopes & Worries Survey ranked UCLA as the No. 5 "Dream College" among students and the No. 10 "Dream College" among parents. The National Science Foundation ranked UCLA 10th among American universities for research and development expenditures in 2014 with $948 million. The university is one of the Public Ivies —a public university considered to provide an Ivy League education. 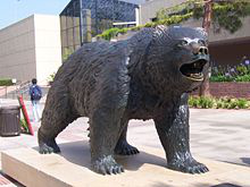 Approximately 3,200 transfer students entered UCLA in Fall 2014, with 92.3% from the California Community Colleges System . Over the past 15 years over 45,000 students have transferred to UCLA. 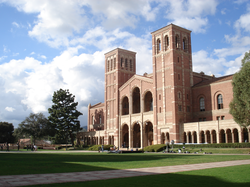 Between one-half to one-third of baccalaureate degrees are awarded to students who transferred to UCLA. One of the major issues is the decreased admission of African-Americans since the passage of Proposition 209 in 1996, prohibiting racial or sexual discrimination at public institutions. 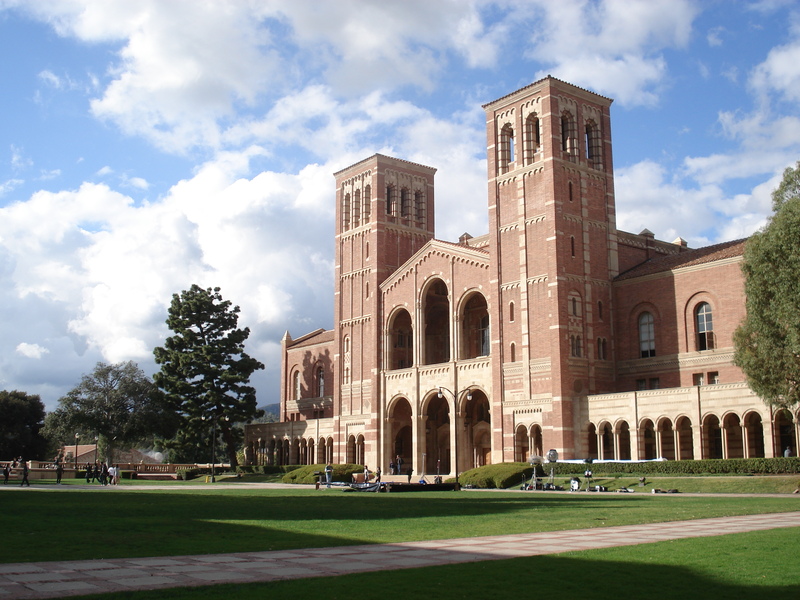 UCLA responded by shifting to a holistic admissions process starting Fall 2007. The holistic admissions process evaluates applicants based on their opportunities in high school, their personal hardships and unusual circumstances at home. For Fall 2015, 35% of admitted freshman applicants chose to enroll at UCLA. The UCLA trademark "is the exclusive property of the Regents of the University of California ",  but it is managed, protected, and licensed through UCLA Trademarks and Licensing, a division of the Associated Students UCLA, the largest student employer on campus. As such, the ASUCLA also has a share in the profits. UCLA has various store locations, with the main store in Ackerman Union and smaller stores around campus. In addition, UCLA-themed products are sold at the gift shop of Fowler Museum on campus. The school's sports teams are called the Bruins , with colors True Blue and gold. The Bruins participate in NCAA Division I as part of the Pac-12 Conference . 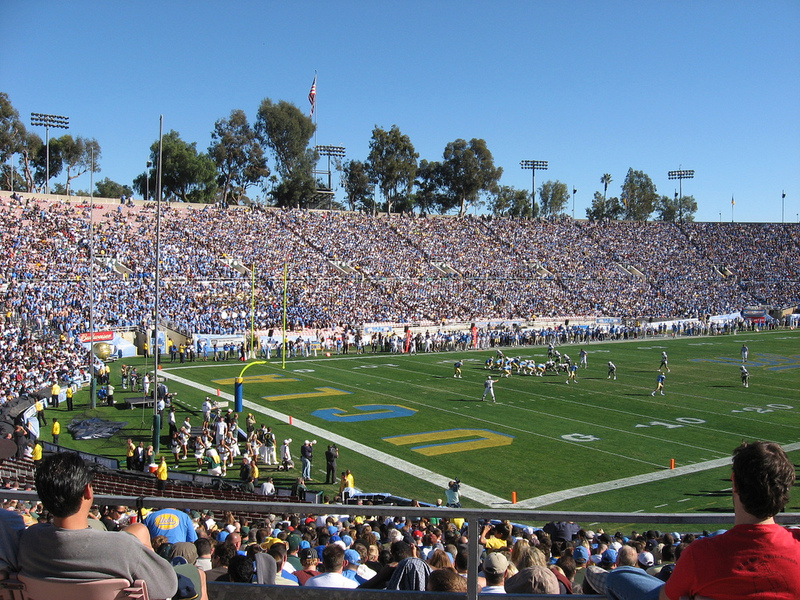 Two notable sports facilities serve as home venues for UCLA sports. 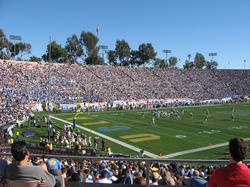 The Bruin men's football team plays home games at the Rose Bowl in Pasadena ; the team won a national title in 1954. 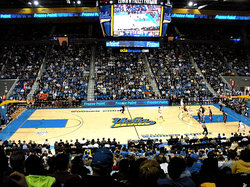 The basketball and volleyball teams, and the women's gymnastics team compete at Pauley Pavilion on campus. The school also sponsors cross country , soccer , women's rowing , golf , tennis , water polo , track and field , and women's softball . The mascots are Joe and Josephine Bruin, and the fight songs are Sons of Westwood and Mighty Bruins . The alma mater is Hail to the Hills of Westwood . Former UCLA basketball player and former NBA player Earl Watson commented, "Eleven national championships, the best coach (Wooden) to coach the game says a lot. I take offense to those who act like UCLA is just another school compared with Duke . Duke is a great school in the east, but UCLA is worldwide." The campus is located near prominent entertainment venues such as the Getty Center , the Los Angeles County Museum of Art (LACMA) and Walt Disney Concert Hall . UCLA offers classical orchestras , intramural sports , and over 800 student organizations. 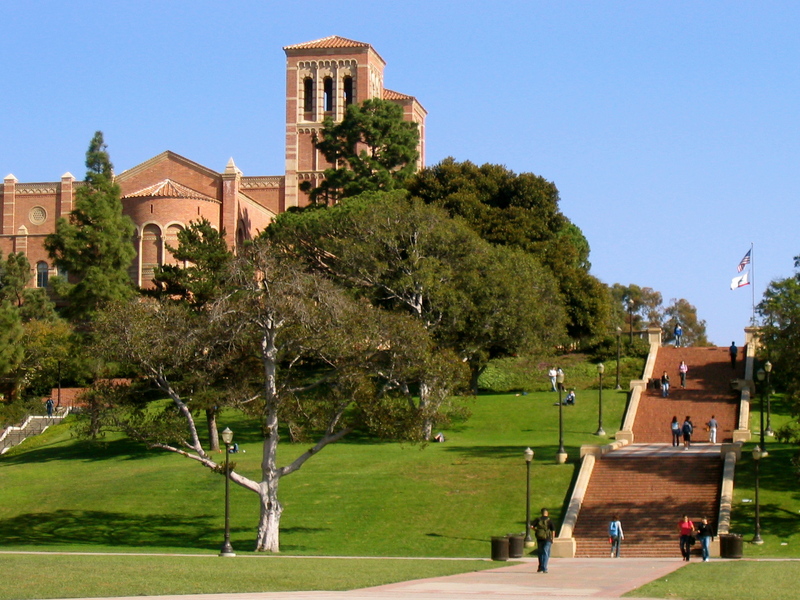 UCLA is also home to more than 70 fraternities and sororities , which represent 13% of the undergraduate population. Phrateres , a non-exclusive social-service club for women was founded here in 1924 by the Dean of Women, Helen Matthewson Laughlin. Students and staff participate in dinghy sailing, surfing, windsurfing, rowing, and kayaking at the UCLA Marina Aquatic Center in Marina del Rey . There are also a variety of cultural organizations on campus, such as Nikkei Student Union (NSU), Japanese Student Association (JSA),  Association of Chinese Americans (ACA), Chinese Students and Scholars Association (CSSA), Chinese Music Ensemble (CME), Chinese Cultural Dance Club (CCDC), Taiwanese American Union (TAU), Taiwanese Student Association (TSA), Hong Kong Student Society (HKSS), Hanoolim Korean Cultural Awareness Group, Samahang Pilipino, Vietnamese Student Union (VSU), and Thai Smakom. Many of these organizations have an annual "culture night" consisting of drama and dance which raises awareness of culture and history to the campus and community. UCLA operates on a quarter calendar . During Finals Week, UCLA students participate in "Midnight Yell", where they yell as loudly as possible for a few minutes at midnight to release some stress from studying. The quarterly Undie Run takes place during the Wednesday evening of Finals Week, when students run through the campus in their underwear or in skimpy costumes. The run began in Fall of 2001 when a student, Eric Whitehead, wearing what he described as "really short shorts" walked around singing and playing a guitar to protest the police restrictions on the Midnight Yell. With the increasing safety hazards and Police and Administration involvement, a student committee changed the route to a run through campus to Shapiro Fountain, which now culminates with students dancing in the fountain. In 2007, the route was changed again to begin at Strathmore Avenue instead of Landfair Avenue. The Undie Run has spread to other American universities, including the University of Texas at Austin , Arizona State University , and Syracuse University . The Alumni Association sponsors several events, usually large extravaganzas involving huge amounts of coordination, such as the 70-year-old Spring Sing, organized by the Student Alumni Association (SAA). 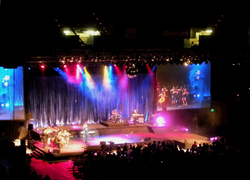 UCLA's oldest tradition, Spring Sing is an annual gala of student talent, which is held at either Pauley Pavilion or the outdoor Los Angeles Tennis Center . The committee bestows the George and Ira Gershwin Lifetime Achievement Award each year to a major contributor to the music industry. Past recipients have included Stevie Wonder , Frank Sinatra , Ella Fitzgerald , James Taylor , Ray Charles , Natalie Cole , Quincy Jones ,  Lionel Richie , and in 2009, Julie Andrews . The Dinner for 12 Strangers is a gathering of students, alumni, administration and faculty to network around different interests. The "Beat 'SC Bonfire and Rally" occurs the week before the USC rivalry football game. Sigma Eta Pi at UCLA and Bruin Entrepreneurs organize LA Hacks , an annual hackathon where students from around the United States come to build technology products. LA Hacks established itself as the largest hackathon in the United States when over 1500 students participated in April 11–13, 2014. 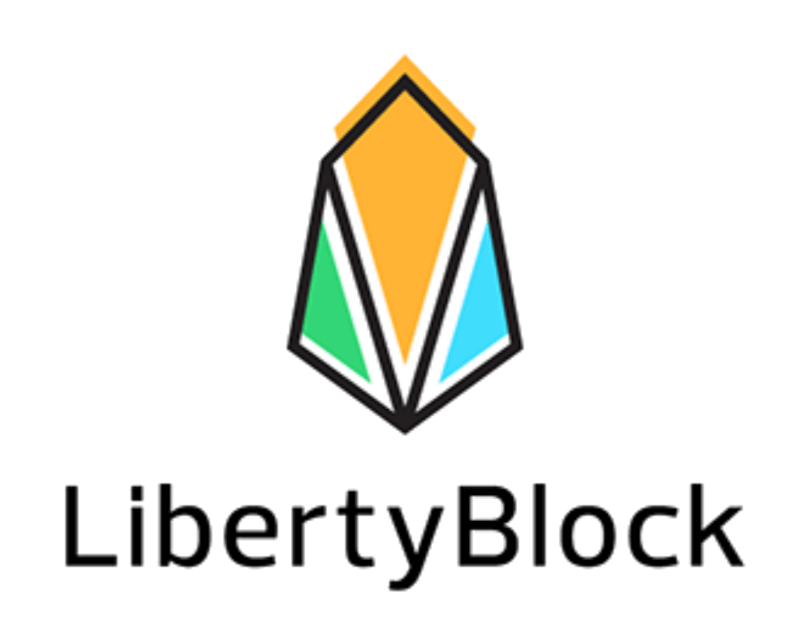 LA Hacks also holds the record for the most funds raised via corporate sponsorships with $250,000 raised. 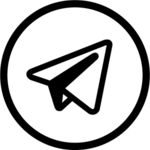 Some of the tech world's most prominent people have given talks and judged projects at LA Hacks, including Evan Spiegel (Founder and CEO of Snapchat ), Alexis Ohanian (Co-Founder of Reddit ), Sam Altman (President of Y Combinator ) and Chris De Wolfe (Founder of Myspace ). 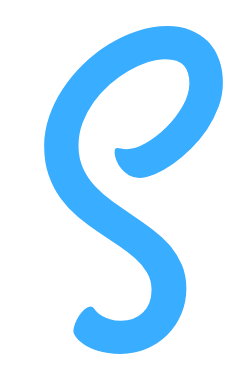 The Associated Students UCLA (ASUCLA) encompasses the student government and student-led enterprises at UCLA. ASUCLA has four major components: the Undergraduate Students Association, the Graduate Students Association, Student Media, and services & enterprises. However, in common practice, the term ASUCLA refers to the services and enterprises component. This includes the Student Store, Bookstore, Food Services, Student Union, etc. These commercial enterprises generate approximately $40 million in annual revenues. As a nonprofit corporation, the financial goal of ASUCLA is to provide quality services and programs at reasonable prices. ASUCLA is governed by a student-majority Board of Directors. The Undergraduate Students Association and Graduate Students Association each appoint three members plus one alternate. In addition to the student members, there are representatives appointed by the administration, the academic senate, and the alumni association. The "services and enterprises" portion of ASUCLA is run by a professional executive director who oversees some 300 staff and 2,000 student employees. 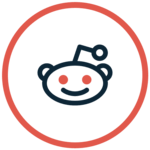 The Undergraduate Students Association Council (USAC) is the governing body of the Undergraduate Students Association (USA) whose membership comprises every UCLA undergraduate student. The student body currently has two major political slates: Bruins United and Let's Act. The USAC President appoints more than seventy undergraduates to administrative committees and the Academic Affairs Commissioner Appoints approximately 25 undergraduates to Academic Senate Committees. Students have an opportunity to serve on the ASUCLA Board of Directors and the Communications Board, as well as on other significant committees, having input into the decision making process at a high level. UCLA Student Media is the home of UCLA's newspaper, magazines, and radio station. 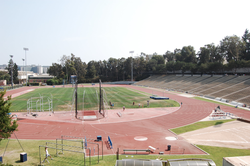 Most student media publications are governed by the ASUCLA Communications Board. The Daily Bruin is UCLA's most prominent student publication. Founded in 1919 under the name Cub Californian , it has since then developed into Los Angeles' third-most circulated newspaper. It has won dozens of national awards, and is regularly commended for layout and content. In 2006, the Society of Professional Journalists awarded it Best All-Around Daily Newspaper in the national Mark of Excellence Awards. The newspaper has not been without scrutiny and controversy, and in 1954, the administration attempted to intervene with the previous policy of electing editors by a student council. UCLA Student Media also publishes seven special-interest news magazines: Al-Talib , Fem , Ha'Am , La Gente , Nommo , Pacific Ties , and OutWrite , a school yearbook, BruinLife , and the student-run radio station, UCLA Radio. Most undergraduate students are housed in 14 complexes on the western side of campus, referred to by students as "The Hill". Students can live in halls, plazas, suites, or university apartments, which vary in pricing and privacy. Housing plans also offer students access to dining facilities, which have been ranked by the Princeton Review as some of the best in the United States. Dining halls are located in De Neve, Rieber, Covel, and Hedrick Halls. In winter 2012, a dining hall called The Feast at Rieber opened to students. The newest dining hall (as of Winter Quarter 2014) is Bruin Plate, located in the Carnesale Commons (commonly referred to as Sproul Plaza). Residential cafes include Bruin Cafe, Rendezvous, and Cafe 1919 which formerly housed a cafe known as Puzzles. UCLA currently offers three years guaranteed housing to its incoming freshmen, and one year to incoming transfer students. There are four type of housing available for students: residential halls, deluxe residential halls, residential plazas, and residential suites. Available on the hill are study rooms, basketball courts, tennis courts, and Sunset Recreational Center which includes three swimming pools. Two other faculty members winning the Nobel Prize were Bertrand Russell and Al Gore ,  who each had a short stay at UCLA. Everipedia cofounders Sam Kazemian and Travis Moore are alumni. Geography professor Jared Diamond won the 1998 Pulitzer Prize for his book Guns, Germs, and Steel . Two UCLA history professors have each won 2008 Pulitzer Prizes for general nonfiction and history. Saul Friedländer , noted scholar of the Nazi Holocaust, won the prize for general nonfiction for his 2006 book, The Years of Extermination: Nazi Germany and the Jews, 1939–1945 , and Daniel Walker Howe won for his 2007 book, What Hath God Wrought: The Transformation of America, 1815–1848 . A number of UCLA alumni are notable politicians. In the U.S. House of Representatives , Henry Waxman ('61, '64) represented California's 30th congressional district and was Chairman of the House Energy and Commerce Committee . U.S. Representative Judy Chu ('74) represents California's 32nd congressional district and became the first Chinese American woman elected to the U.S. Congress in 2009. Kirsten Gillibrand ('91) is U.S. Senator from the State of New York and former U.S. Representative for New York's 20th congressional district . 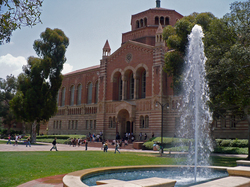 UCLA boasts two Mayors of Los Angeles : Tom Bradley (1937-1940), the city's only African-American mayor, and Antonio Villaraigosa ('77), who served as mayor from 2005 to 2013. Nao Takasugi was the mayor of Oxnard , California and the first Asian-American California assemblyman. Laurence Fink (BA '74, MBA '76) is chairman and CEO of the world's largest money-management firm BlackRock . Oliver Benjamin (BA '90) author, founder of the religion Dudeism . Bill Gross (MBA '71) co-founded Pacific Investment Management ( PIMCO ). Michael Morhaime (BA '90), Allen Adham (BA '90) and Frank Pearce (BA '90) are the founders of Blizzard Entertainment , developer of the award-winning Warcraft , StarCraft and Diablo computer game franchises. Tom Anderson is a co-founder of the social networking website Myspace. Ben Horowitz (MS '90) is a co-founder of the Silicon Valley venture capital firm Andreessen Horowitz . Computer scientist Vint Cerf ('70, '72) is Vice President and Chief Internet Evangelist at Google and the person most widely considered the "father of the Internet." Henry Samueli ('75) is co-founder of Broadcom Corporation and owner of the Anaheim Ducks . Susan Wojcicki (MBA '98) is the CEO of YouTube . Travis Kalanick is one of the founders of Uber . Guy Kawasaki (MBA '79) is one of the earliest employees at Apple . Nathan Myhrvold is the founder of Microsoft Research . UCLA alumni have also achieved prominence in the arts and entertainment. John Williams is laureate conductor at the Boston Pops Orchestra and Academy Award -winning composer of the Star Wars film score. Martin Sherwin ('71) was awarded the Pulitzer Prize for American Prometheus: The Triumph and Tragedy of J. Robert Oppenheimer . Actors Ben Stiller , Tim Robbins , James Franco , George Takei , Mayim Bialik , Sean Astin , Holland Roden and Milo Ventimiglia are also UCLA alumni. Popular music artists Sara Bareilles , The Doors , Linkin Park , and Maroon 5 all attended UCLA. Ryan Dusick of Maroon 5 majored in English. Giada De Laurentiis is a program host at Food Network and former chef at Spago . Greg Graffin , lead singer of punk rock band Bad Religion , earned a master's degree in Geology at UCLA, and used to teach a course on evolution there. Carol Burnett was the winner of the Mark Twain Prize for American Humor in 2013 (also winner of Emmys , a Peabody and a Presidential Medal of Freedom in 2005). Francis Ford Coppola ('67) was the director of the gangster film trilogy The Godfather and the Vietnam War film Apocalypse Now . UCLA also boasts an excellent military background, with hundreds of alumni serving their nation. Carlton Skinner was a U.S. Navy Commander who racially integrated the service at the end of World War II on the USS Sea Cloud . He was also the first civilian governor of Guam . Francis B. Wai is, to date, the only Chinese-American and the first Asian-American to be awarded the Congressional Medal of Honor for his actions in World War II. UCLA also lost an alumnus in early 2007 when Second Lieutenant Mark Daily was killed in Mosul, Iraq after his HMMWV was hit by an IED. Lieutenant Daily's service is marked by a plaque located on the northern face of the Student Activities Center (SAC), where the ROTC halls are currently located. H.R. Haldeman ('48) and John Ehrlichman ('48) are among the most infamous alumni because of their activities during the 1972 Watergate Scandal . Kerckhoff Hall houses the student government and the Daily Bruin . All information for University of California, Los Angeles's wiki comes from the below links. Any source is valid, including Twitter, Facebook, Instagram, and LinkedIn. 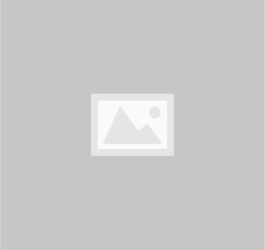 Pictures, videos, biodata, and files relating to University of California, Los Angeles are also acceptable encyclopedic sources. "Academic Ranking of World Universities in Clinical Medicine and Pharmacy - 2015"
"Top 100 universities for arts and humanities 2014-2015"
"Top 100 universities for clinical, pre-clinical and health 2014-2015"
"Top 100 universities for engineering and technology 2014-2015"
"Top 100 universities for physical sciences 2014-2015"
"The Inauguration of Gene D. Block as Chancellor of UCLA"
"Top 100 universities for social sciences 2014-2015"
"QS World University Rankings by Faculty 2015 - Arts and Humanities"
"QS World University Rankings by Faculty 2015 - Life Sciences and Medicine"
"The 20 Schools with the Most Alumni at Google"
"UC Financial Reports – Campus Facts in Brief"
"The 20 universities that are most likely to land you a job in Silicon Valley"
"The Top Universities Producing VC-Backed Entrepreneurs"
"The Nation's Largest Libraries: A Listing By Volumes Held"
"A Tribute to Lawrence Clark Powell"
"UCLA sets new undergraduate applications record / UCLA Newsroom"
"Obituary: Page Ackerman, Former UCLA University Librarian"
"UCLA receives record number of applications from most diverse applicant pool to date"
"Table A-2.1: Undergraduate Institutions Supplying 15 or More Black or African-American Applicants to U.S. Medical Schools, 2015-2016"
"Times Higher Education World Reputation Rankings"
"Academic Ranking of World Universities - 2015"
"Medical School Statistics For UCLA Graduates"
"University of California Freshman Application Counts by Campus and Residency"
"CWUR 2015 - World University Rankings"
"Common Data Set Fall 2015"
"Common Data Set, Fall 2013"
"University of California--Los Angeles: College"
"Terence Tao, 'Mozart of Math,' Wins Fields Medal, Called 'Nobel Prize in Math'"
"Professor Judea Pearl Receives Alan Turing Award for Work on Artificial Intelligence"
"Awards & Honors: Faculty Honors"
"UCLA reaches record-low admission rate for 2015-2016 academic year"
"Profile of Admitted Freshmen Fall 2015"
"UCLA's Olympic Tradition and Medal Winners"
"Freshman admissions to the college and schools, Fall 2015"
"PROFILE OF ADMITTED TRANSFER STUDENTS FALL 2014"
"UCLA Adopts 'Holistic' Model in Admissions to Stem Decline in Minority Enrollment"
"(UC) Los Angeles: Historical Overview"
"10 Medical Schools That Are Most Competitive for Applicants"
"Fall 2015 Incoming Class Profile"
"MBA Class of 2017 Profile"
"Report to the University-Wide Council on Engineering Education (UCEE)"
"UCLA — A Smart Investment for the Greater Los Angeles Region ... and Beyond"
"UCLA Licensing and Trademarks: About Us"
"UCLA name, L.A. lifestyle marketable overseas"
"UCLA wins NCAA women's tennis championship"
"The Daily Bruin Is Born"
"Bruins lead the nation with 106 NCAA team championships and 124 total national championships"
"Al Scates to retire as UCLA volleyball coach after 2012 season"
"USC defeats UCLA, 40-21, for first time in four seasons"
"2007 UCLA Women's Volleyball Media Guide – The Pacific-10 Conference – Opponents"
"Caught on Tape: Voices from UCLA's Past"
"USC Concludes Its Most Successful Olympics Ever – University of Southern California Official Athletic Site"
"4th Annual We Run The City 5K"
"University of Southern California Official Athletic Site – Football"
"Welcome to Fraternity & Sorority Life"
"2 killed in UCLA shooting, campus on lockdown"
"UCLA shooting: 2 killed in murder-suicide, campus on lockdown"
"Dance Marathon students raise $446,157 for pediatric AIDS"
"Map of University of California"
"Undie Run Tradition Faces Growing Pains"
"Undie Run Safety at Issue"
"A 'sense of place' from the old and new"
"Lional Richie accepts the Gershwin Award"
"Dinner with 12 strangers is a feast for friends"
"UCLA Policy 863: Filming and Photography on Campus"
"LA Hacks Hackathon Draws Hordes of Young Developers to UCLA [Updated]"
"Jonathan Kuntz – Visiting Associate Professor"
"Associated Students UCLA [95-1777979] GuideStar Report"
"2006 Mark of Excellence – National Winners/Finalists"
"Law Journals: Submissions and Ranking 2013 Combined Score"
"UCLA First Major University in L.A. County to "Go Metro" with Metro Discounted Transit Pass Program"
"UCLA Student Housing Master Plan 2007–2017"
"The Best 371 Colleges: Quality of Life – Campus Food"
"UCLA Dining Services Restaurant Locations"
"Best Hospitals 2015-16: an Overview"
"Conference Center at Lake Arrowhead"
"Sharing the next gen: How Chabad is changing Hillel — and reshaping campus life"
"The Nobel Prize in Economic Sciences 2012"
"The Nobel Prize in Physiology or Medicine 1998"
"The Nobel Prize in Chemistry 1997"
"The Nobel Prize in Chemistry 1987"
"The Nobel Prize in Physics 1965"
"University of California--Los Angeles: Overall Rankings"
"University Ranking by Academic Performance"
"The Nobel Prize in Chemistry 1960"
"The Nobel Prize in Chemistry 2010"
"The Top American Research Universities"
"The Nobel Prize in Economic Sciences 2009"
"The Princeton Review's 2015 "College Hopes & Worries Survey" Reports on 12,000 Students' & Parents' "Dream colleges" and Application Viewpoints"
"Randy Schekman, molecular biologist and UCLA alumnus, wins 2013 Nobel Prize"
"Rankings by total R&D expenditures"
"The Pulitzer Prize Winners in 1998"
"Democrats Oust Longtime Leader of House Panel"
"Judy Chu becomes first Chinese American woman elected to Congress"
"Gillibrand appointed to Senate Seat"
"Cerf urges standards for cloud computing"
"Reading, Writing and Rock 'n' Roll - Web Exclusive - UCLA Magazine Online"
"The 50 US colleges with the best food"
"The 15 Best Dining Halls On College Campuses"
"James Easton receives UCLA Medal for his 'tireless devotion' to university"
"QS Global 200 MBA Rankings 2014/15: North America"
"The World's 50 Best Business Schools"
"University and Business School Ranking in USA"
"2015 Rankings of Best Financial Engineering Programs"
"Best Online Graduate Engineering Programs"
"Academic Ranking of World Universities in Mathematics - 2015"
"Academic Ranking of World Universities in Computer Science - 2015"
"QS World University Rankings by Subject 2015 - English Language & Literature"
"QS World University Rankings by Subject 2015 - Linguistics"
"QS World University Rankings by Subject 2015 - Modern Languages"
"QS World University Rankings by Subject 2015 - Medicine"
"QS World University Rankings by Subject 2015 - Psychology"
"QS World University Rankings by Subject 2015 - Mathematics"
"QS World University Rankings by Subject 2015 - Geography & Area Studies"
"Annual Endowment Report, Fiscal Year Ended June 30, 2015"
"QS World University Rankings by Subject 2015 - Communication & Media Studies"
"QS World University Rankings by Subject 2015 - Education"
"QS World University Rankings by Subject 2015 - Sociology"
Other wiki pages related to University of California, Los Angeles.